Looks like it was just picked in the garden! 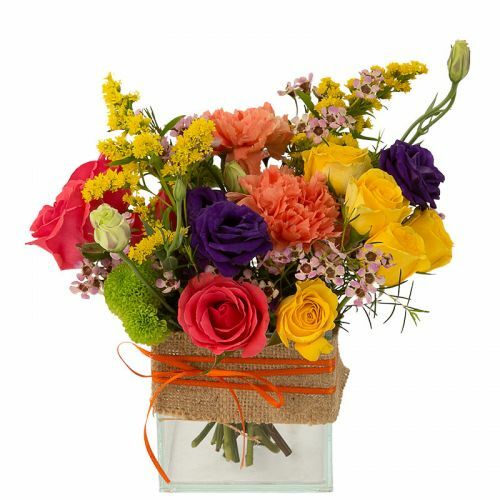 Flowers include roses, lysianthus, carnations, waxflower and more. In a stylish cube vase wrapped in burlap ribbon. Bright and happy!